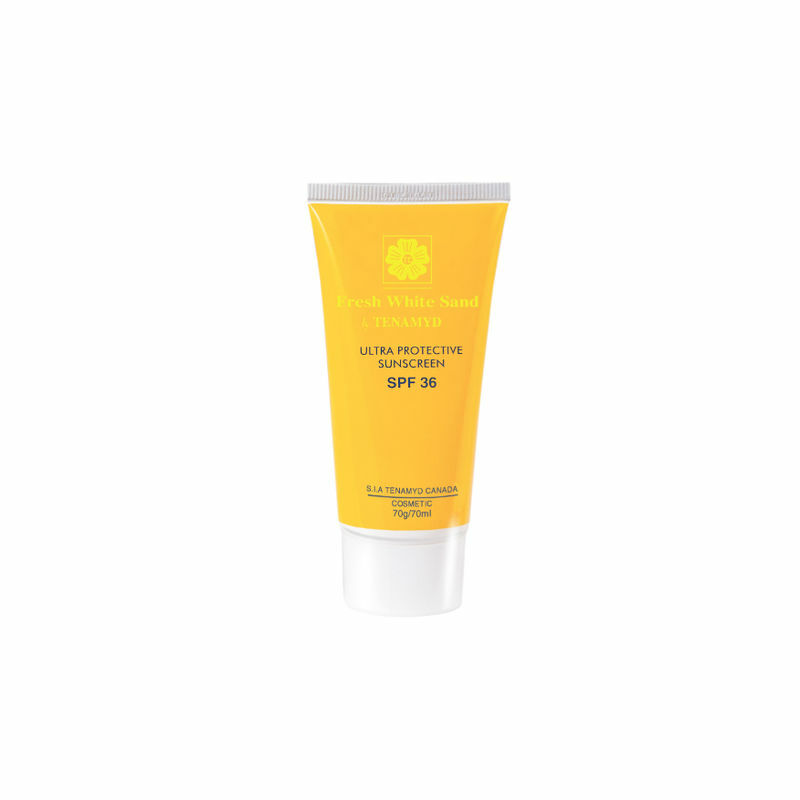 Tenamyd Canada Ultra Protective Sunscreen SPF 36 protects skin with its dual protective film of Aloe Vera and Vitamin E. It safeguards the skin from the harmful effects of UVA and UVB rays. Its non-greasy and quick absorbing formula hydrates and refreshes skin. Enriched with aloe Vera extracts and Vitamin E.